A special hello to my Canadian subscribers. As you can see in the picture I have a Canada sweatshirt on. 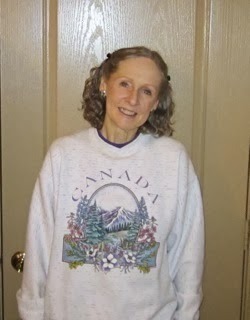 It's my favorite sweatshirt since it has a purple collar on it and I love the scene with mountains and flowers. It's been awhile since we've been to any part of Canada so I keep this sweatshirt for special occasions to make it last. I'm not even sure where I got it. We've been to Canada numerous times. Our first visit was our honeymoon in 1977 when we went to Quebec City. Twenty (20) years later we went to the Maritime Provinces (New Brunswick, Prince Edward Island and Nova Scotia) for our 20th Anniversary. In 1998 I attended a Nature's Sunshine convention in Seattle, Washington, and made a visit to Vancouver and Victoria in British Columbia. And in 1999 we had a speaking engagement in Minneapolis, so after we decided to take the North Shore Drive into Thunder Bay, Ontario. It's obviously been much too long since we've been there. Seems like since we moved out of the South we don't think of cooler places to be any more. I am so excited that it's finally March! 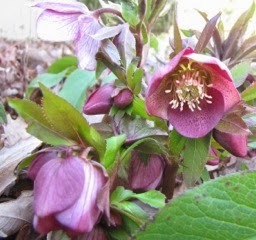 We have hellebores blooming and the daffodils are coming up all over the property. Trees are budding and birds are singing. My heart is coming back to life! There will be much to be done and I've already been making 'Honey Do Lists' for Randal. 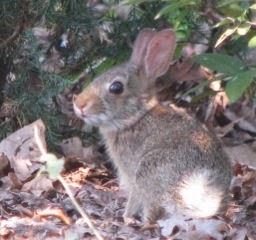 Springtime is his heaviest gardening time since we leave our leaves on the ground for winter to provide a covering for the plants and because he chops them up and uses them for mulch in all of our garden spaces. They produce rich black dirt that the earthworms enhance with their castings (poop). 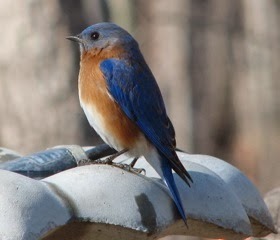 Here in Central Virginia it's time for bluebird houses to be in place. Bluebirds begin their seasonal movements in February and male bluebirds begin establishing territory by mid-March, the box should be up as early as possible to increase the chance that it will be used. Once the female has arrived and chosen the nest site, it may be several weeks before the pair actually begin nest building. They may lay from three to six pale blue eggs. Bluebirds often have at least two broods during the course of the breeding season. The female incubates the eggs for 12 to 16 days, while the male assists in feeding her. It's a good idea to clean out the nestbox between broods just for cleanliness and health factors. We sure had slim pickings on our Backyard Bird Count this year. It was after our 9" wet snowfall and the birds weren't interested in snowshoeing it around the feeders. 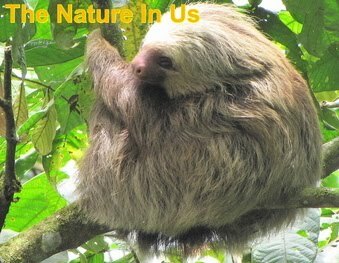 The information for this citizen science project is still important whether the number is large or small. So we submitted the days we watched. What is it about bad news that people seem to so enjoy sharing it so much? There seems to be waves of times when people forward info on flu warnings, politics or even the predicted weather conditions, much of which never comes to pass. We are blessed to NOT have TV reception and I do not read news online or get newspapers, but I can see from all the email titles that people are being bombarded with too much information. I do not read emails that are news-related. I pray the senders will forgive me, but I delete them. When you're fighting life and death health issues, every detail of life really comes into a perspective that you never saw before. I have chosen to keep a positive head about me and entering into all the fear and anger on politics and other issues these days is not a peaceful environment. I've not received a meaningful response when I ask the questions: "What benefit is there from thinking on these things? Are your thoughts changing what's happening? Are you DOING something to change it other than forwarding on the fear and anger to others?" What good is there to have a nation of believers full of fear and anger bowing down to the devil's activities instead of doing what God's told us to do. It's a good verse for determining what we should be listening to or reading. I admit I do not pray enough for those in authority in our nation. But if I had all the emotions that I've seen come with bad news, I wouldn't be able to pray in faith at all. I literally don't know much about what's going on, but I find that's a good thing when it comes to standing in prayer. Here's a prayer example that I found on a Google search that I like. Have you ever noticed the fear in people's eyes when you're talking with someone who is sharing bad news? I think the belief is that if you share it, it makes it easier to accept ... or that maybe "Somebody" will do something about it. In reality, all it does is drive it further and further into the heart and soul of the person repeating it and the one hearing it. It's like planting seeds in our heart. Is it something that God would be pleased with? It's important to have positive-minded friends, people who don't rehearse problems over and over, giving glory to the devil. We can speak what God says about our problems and have great expectations (and promises) of good. A modern day Pollyanna you could say. I always loved that book and movie and recently watched a 1913 version of it on YouTube! There are 10 parts to it. Fact is we are not of this world, even though we live in it. Jesus showed us a different way of life through the Kingdom. Our confidence is supposed to be in the Lord, not mere men in government. When bad news is read it's impossible to have peace and that certainly weakens faith. The Bible tells us that "perfect love casts out fear" and His love is perfect. We can dwell in His "government" and feel secure and cared for. Consider Romans 8:31: "What shall we then say to these things? If God be for us, who can be against us?" Current neuroscience and quantum physics is showing that what we think on produces proteins and actually forms who we are in the brain. So whatever we think on will grow and grow and grow. We become what we think about. That fits in with the Scripture, "As a man thinks in his heart, so is he" (Prov. 23:7). That leads me into Proverbs 3:5-6: "I trust in the Lord with all my heart; and lean not to my own understanding. In all my ways I acknowledge Him, and He shall direct my paths." Peace is a great thing to possess in these last days. Jesus told us in Luke 21:26-27 that, "Men's hearts will fail them for fear and for looking upon those things which are coming on the earth; for the powers of heaven shall be shaken. And then shall they see the Son of Man coming in a cloud with power and great glory. And when these things begin to come to pass, then look up and lift up your heads, for your redemption draws nigh." The events of our day are not strange. They only make us realize how close the return of Jesus is. We just did our 18th loan on Kiva. Have you heard about this website? It's incredible what a $25 loan can do for people throughout our world or even in the United States. 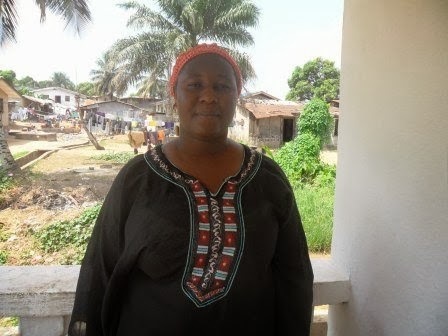 Our loan was made to Massa, a 30 year old woman who lives in Liberia. She is married and has four children ages 1 to 11. For fourteen years she has been selling lapa (traditional West African cloth). Currently she has fewer goods, so she is requesting a loan to purchase more lapa for her business. She hopes to build a house and continue to send all of her children to school. It's called micro-financing and helps one person have a chance at earning a living. They apply for a loan and people, like you and me, lend $25 which Kiva applies to their loan and then they can buy inventory to grow their shop or maybe buy a vehicle to use as a taxi. There are many different scenarios, but the cool part is that they pay the loan back and then you have that money to lend all over again. What a great hobby. They have 73 countries to choose from. We're determined to do a loan in each one of them. We've done 17 so far. Since you get to read the story of the person you're lending to, it becomes a real delight to know you are helping one person at a time in various countries (even the USA) to pull themselves out of poverty, or have a chance to send their children to school, or simply put food on the table. It's a wonderful thing to do and you can even give gift cards to share the fun and excitement with others. The site allows you to choose male or female, the type of business, and even attributes of the loan such as education, water, sanitation, fair trade, disaster recovery, etc. Check out my referral page and watch the two short videos at the bottom to learn more. You can't imagine how much $25 can do for somebody and you can't imagine how great it will make you feel! Once you begin to lend, you will also have a referral page to share Kiva with others. For every one that signs up to lend, Kiva gives $25 for you to lend, so your lending potential increases from one $25 investment in lives. Give it a try!